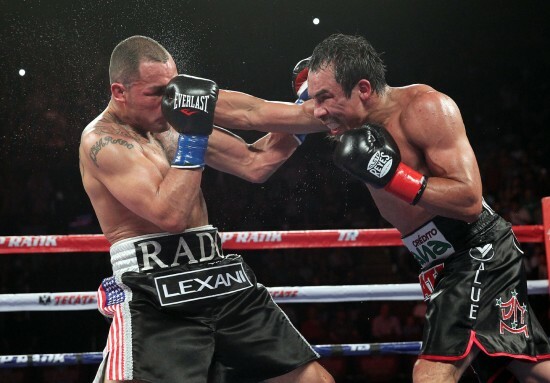 INGLEWOOD, CA, May, 17, 2014 — At the peak of a stacked action packed card, in the beautifully remodeled Forum in front of a passionate and boisterous crowd, Juan Manuel Marquez put on a master class performance in dominating Mike Alvarado over 12 brisk rounds. Juan Manuel ‘Dinamita’ Marquez of Mexico City (57-1 -1, 40 Kos) having gone undefeated in The Forum between 1995-1999 wining 12 fights in the building was attempting to bounce back from defeat at the hands of then WBO Welterweight champion Tim Bradley. ‘Mile High’ Mike Alvarado (34-2, 23 Kos) from Denver Colorado was looking to get back into the win column following a stoppage defeat in his hometown to Ruslan Provodnikov last October. The Forum with its newly remodeled red décor is hopping as Mike Alvarado enters the ring first, the crowd frenzied and ready for blood. Mariachi music pumps from a live band and the crowd roars the arrival and return of their hero Juan Manuel Marquez as he calmly but firmly makes his ring walk, sweat glistening on his face from the pre fight warm up. The first two rounds feature a lot of patience from each man; Marquez’s game has always been as a counter puncher and he mostly throws out range finding jabs to the body and head of Alvarado, who is content to wait on a counter opportunity. Marquez is forced to lead in the second round as Alvarado refuses to open up. Marquez doesn’t seem totally comfortable at this stage of the fight being the aggressor. Some boos from the crowd reign down at the end of the second due to the lack of sustained action. Marquez ups the pressure in the 3rd,countering a wild right from Alvarado with a jab that mushes his face. Marquez concentrates much of his attack on the body as Alvarado’s high guard isn’t offering any openings upstairs. The bigger man, Alvarado bullies inside a few times on Marquez in the 4th doing some decent work landing a few jabs, a hard right and an uppercut all when Marquez is backed near the ropes. Suddenly the attention shifts to the nosebleed section where a fight has broken out in the crowd — these fans are pumped up! “Mile High” Mike opens up a little more in the 5th round, providing Marquez with more counter opportunities. And he is happy to oblige, landing hard whipping left hooks to Alvarado’s body. Marquez lands a Tyson special — left hook upstairs, left hook to the body — both right on target. This is the highest action round of the fight so far. In rounds 6 and 7 the action continues to increase with Marquez coming forward for the first time, as he mainly backed up through the first half of the fight baiting Alvarado into counters. Although Marquez is controlling the action, it isn’t a complete wipeout, as Alvarado lands an occasional uppercut or right hand lead and with Alvarado the bigger man, they land hard. Marquez face is showing signs of redness. The first 2 minutes of the 8th round go by and Marquez is taking a little break from the 3 previous rounds of heated action. In the final minute, Marquez begins coming forward: a 4 punch combo lands; the last 20 seconds of the round are ticking down and Marquez rattles off a lightning fast comb — a left, a right hand rocks Alvarado, and another left lands on the lower part of his exposed jaw, dumping Alvarado through the ropes. he crashes into a ringside photographer. Badly hurt, Alvarado rises at 8, barely beating the count as he is saved by the bell. The 9th round begins and Alvarado seems to have recovered his senses as he meets Marquez head on at ring center to trade punches. Both men trade back and forth when Marquez gets caught with a right hand counter near the ropes and falls to the canvas! The pro-Marquez crows goes nuts with cheers! How quickly they can turn allegiances is amazing, as they say everyone wants to be on the winning side. All of the crisp punches from Juan Manuel are showing their effect on the face of “Mile High” Mike, especially his left eye, which is sporting a grotesque purple ball underneath. Alvarado starts dancing circles around the ring backpedaling with Marquez playing along, as both men are showing signs of fatigue. Marquez blasts the circling Alvarado occasionally. Round 12 is mild by this fights standards, Marquez with some flurries, but both men are fighting just to make it the end. In the last 10 seconds of the round, Marquez opens up and rocks Alvarado to his heels as the bell rings. Both men immediately embrace at ring center congratulating each other on a truly great and entertaining fight. Michael Buffer reads the Judges scorecards, 117 – 109 twice and 119 – 108 for a clear and deserved unanimous decision victory for Juan Manuel Marquez. The Forum is nearly nearly full. Everyone there seems to sense that this is a very special night in an unforgettable atmosphere. Hopefully, they’ll bring boxing back here full time. 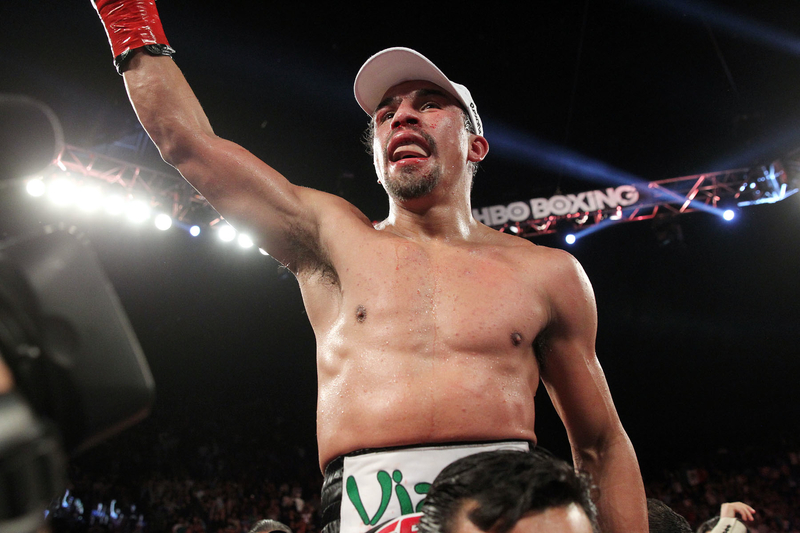 Juan Manuel has great options still available and remains a top level fighter at age 40. The big question is whether he will face Manny Pacquiao for a 5th time later this year, which Marquez has stated will NEVER happen. Perhaps he budged a little from that hard stance but still hasn’t given a definitive answer. Manny’s promoter, Top Rank Boss Bob Arum, stated before this bout that he would offer the winner a take it or leave it fight with Pacquiao. 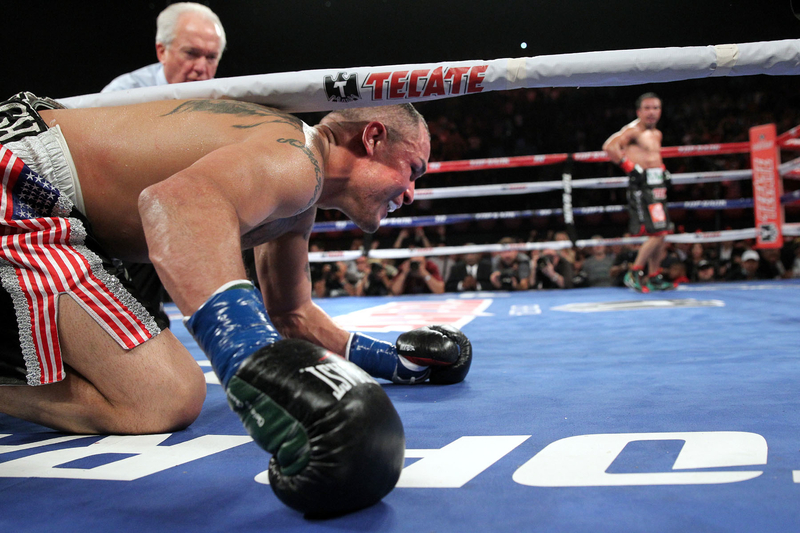 Mike Alvarado has only suffered 3 defeats with against 3 of the very best in the game of boxing, avenging the loss to Brandon Rios. The fight that makes the most sense for Alvarado right now is probably a rubber match with Brandon Rios, as the first 2 fights were classics and a 3rd will be great for boxing and should sell very well at the box office. What developed into a ho hummer, by-the-numbers affair ended in one of the most spectacular highlight reel knockouts when Ukraine’s Viktor Postol dropped Turkey’s Selcuk Aydin flat on his back with a left hook-uppercut in the 11th round of their 12 round junior welterweight contest. This fight was a WBC eliminator with the winner to get a crack at Danny Garcia, although Lucas Matthyse also holds the interim WBC title. Selcuk Aydin (26-2, 19 Kos) was much too predictable in his attack and never adjusted or altered his game plan during the nearly 11 rounds the fight lasted. 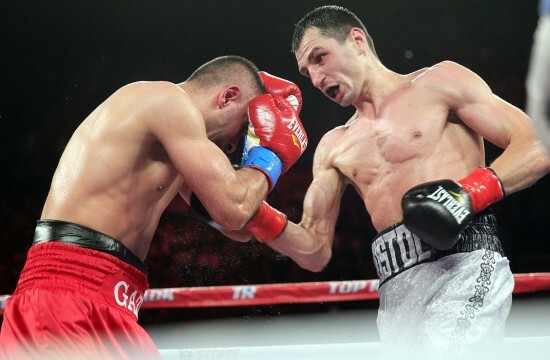 Viktor Postol (25-0, 10 Kos) resembled a pocket Wladimir Kiltschko not just in appearance but also in his reliance on distance, a hard almost constantly thrown left jab and use of the same combos over and over again. Viktor Postol’s combo of choice is the 1-2-3 — the jab-right-hook. In the early stages of the bout, Selcuk rocked Viktor, sending him flying across the ring into the ropes. It seemed like the end was imminent, but Viktor quickly figured the one dimensional Selcuk out and controlled the remainder of the bout. The crowd booed for many stretches of the bout as the two fighters are not well known in Los Angeles, nor was either fighter of Mexican or Latino decent, while the majority of the crowd was. Viktor began landing more and more frequently as the bout progressed especially with hard hooks to the body that sapped the energy from Selcuk. Selcuk never seemed able to figure out the distance from where to throw his punches often throwing from way outside and getting countered repeatedly with jabs crosses and hooks to the head and body. By the 11th round, Selcuk was exhausted and his eyes were beady and squinted from all the abuse he had taken, Viktor at this point was completely having his way standing right in front of Selcuk landig 4 punch combinations at will. Selcuk was rocked back from a hard right hand, Viktor then missed with a left uppercut and then a flush left hookercut dropped Selcuk flat with the ref waiving the fight over without a count. The spectacular knockout ending saved the fight as the fans were very unhappy all the way through. It was interesting watching a fighter trained by Freddie Roach fighting like Wladimir Klitschko, as Roach is known for training pressure fighters. Viktor has a lot of attractive options with his connections at the Wild Card. Selcuk, on the other hand, claimed afterward that he was “done with boxing” and retiring for good. As we all know, emotions run high after a defeat and we can’t take him at his word right away. He really needs a new trainer and team, as he has raw talent and great power. In the opening bout of the evening, 140 lb Cameron Krael of Las Vegas Nevada outworked Denver Colorado’s undefeated Manuel Lopez (5-0, 4 Kos) over 4 rounds. The second bout saw the pro debut of featherweight Yuri Trogiianov end in defeat when he was stopped in the 6th round by Tijuana’s Mexicos Edwi Solis (5-2-3, 3 Kos). Hailing from Roach’s Wild Card Gym, Yuri seemed to tire after the first 2 rounds and was caught repeatedly with counters every time he attempted to open up and throw punches. The referee was forced to step in when Yuri was rocked against the ropes and took 6 unanswered punches to the head. A 4 round super featherweight match between Pedro Duran (5-0, 3 Kos) of Paramount CA and Downey’s Dominic Coca (8-7, 2 Kos) ended in the first round, when Dominic failed to beat the count after getting dropped to the canvas from a hard right hand. Gabio Saenz (11-0-2, 8 Kos) of Indio CA scored a first round body shot kayo over San Juan Puerto Rico’s Felix Perez. Felix Perez (8-5, 3 Kos) was repeatedly hurt to the body during the 1 minute 29 seconds that the bout lasted before finally staying on the ground for the full count. Ernesto Guerrero was nearly dropped for the count in the first but managed to get to his feet and bring the fight to Raul Hirales for the next 2 rounds before getting folded up with a left hook body left hook head that layed him out cold. In a sleep inducing 8 round bout, Welterweight Brad Soloman (21-0, 8 Kos) of Lafayette LA, did his best Roy Jones/Floyd Mayweather impression, pot-shotting his way to victory over the limited Armen Ovespyan (14-3, 11 Kos), who was too crude to land more than a few punches in the entire bout. Los Angeles’ own Zach Wohlman (7-1-1, 1 Ko) won a 4 round unanimous decision over Clearfield, Utah’s Eddie Cordova (4-7-1, 1 Ko) in a Welterwight contest. Zach Wohlman is trained by Freddie Roach and was a winner of the 2010 Los Angeles Golden Gloves. 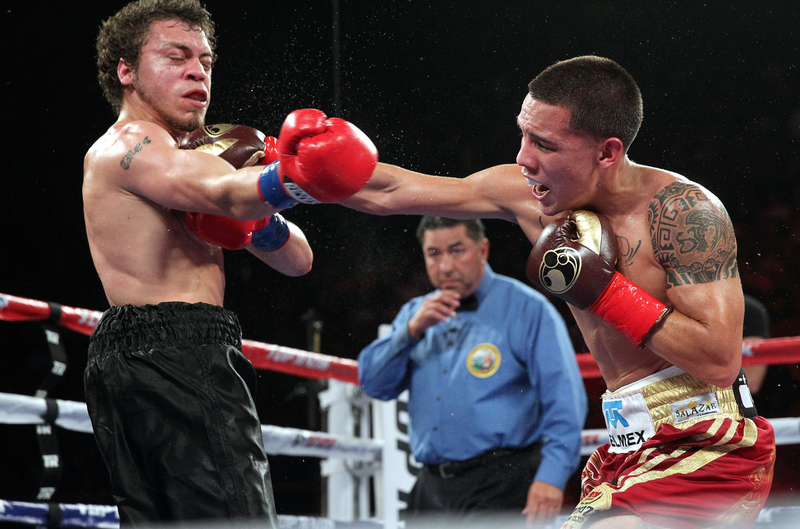 Junior Lightweight Mexican Olympian Oscar Valdez of Nogales (10-0, 9 Kos) continued his impressive professional run with a 6 round TKO over the game, but outgunned Noel ‘Shutup’ Echevarria (11-2, 6 Kos) of Guayama Puerto Rico. 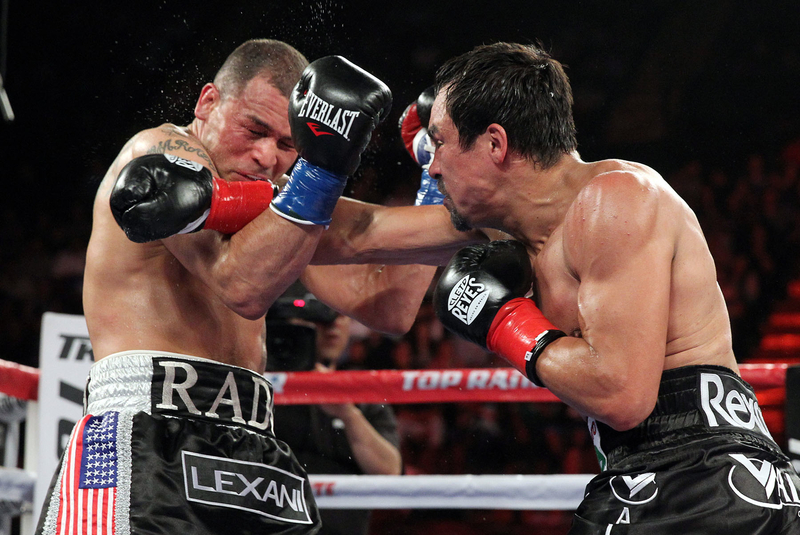 The fight was stopped after the conclusion of the 6th round, as Echevarria had taken many flush shots to the head throughout the fight, with literally every thrown punch from Valdez being a left or right hook bomb. Diego Magdaleno (25-1, 10 Kos) of Las Vegas, earned a shutout Unanimous decision over Santiago, De Chile’s Oscar Bravo (21-3, 9 Kos), dropping Oscar once in the 2nd round in the process. Diego showed great skill, hand speed and ring craft in his dominating victory, even stepping up and trying to finish Oscar in the late rounds. However, Oscar took the punches better in the late going to survive to the end.